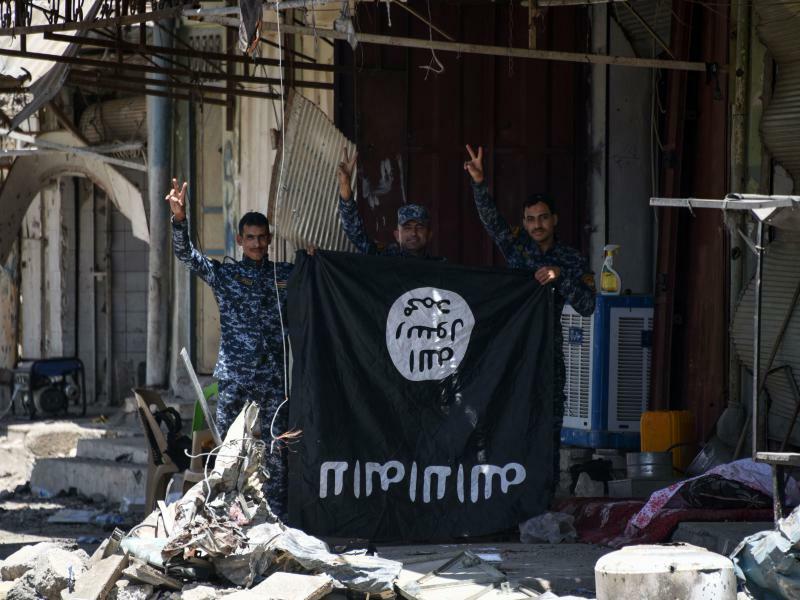 Three years ago, the Islamic State overran large swaths of Iraq and Syria, and soon declared a caliphate that straddled the border between the two countries. Today, the group's physical caliphate is declining — and the group is preparing its base of fighters for a future under siege. One of the ways it is doing that is through its musical propaganda. 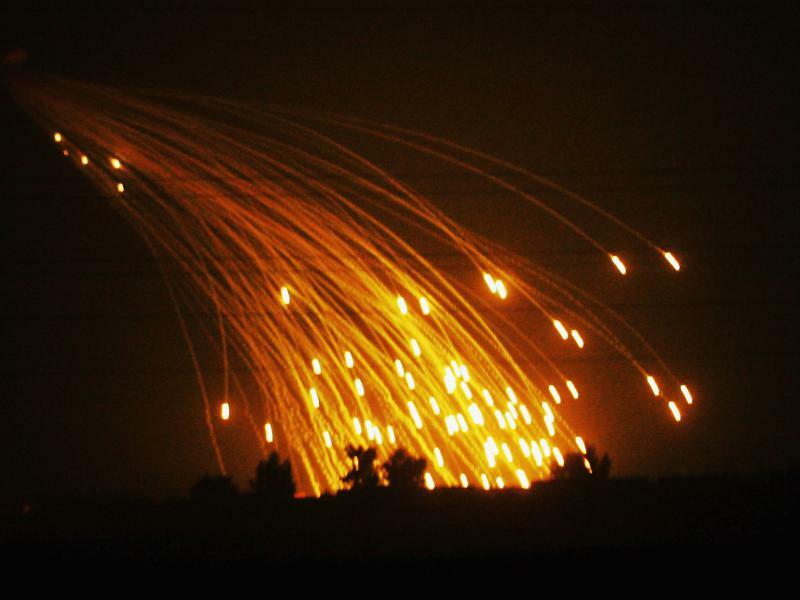 In Iraq, the U.S.-led coalition has admitted — for the first time — to using white phosphorus during operations in the Iraqi city of Mosul. "We have utilized white phosphorus to screen areas within west Mosul to get civilians out safely," New Zealand Brig. Gen. Hugh McAslan tells NPR. He estimates that around 28,000 civilians have managed to make the dangerous crossing out of Islamic State territory in the past few days alone. 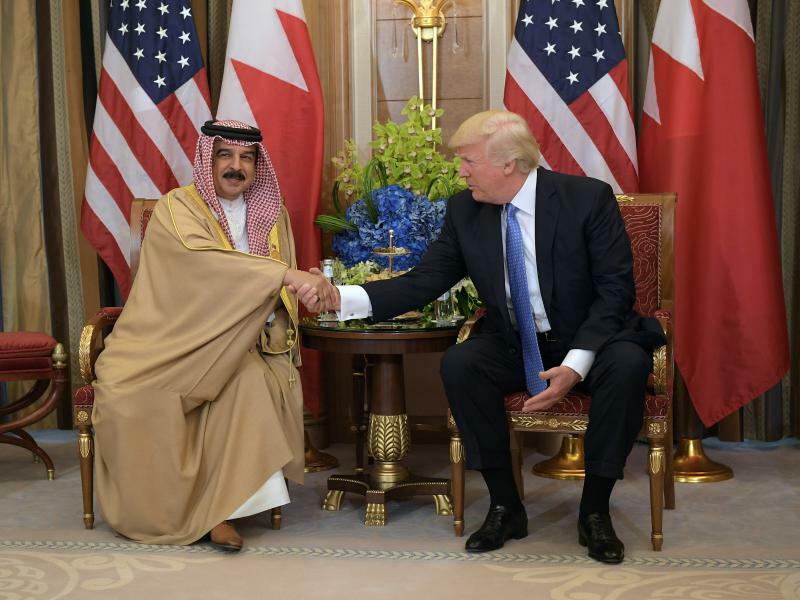 On his visit last month to Saudi Arabia, President Trump devoted special attention to the U.S. alliance with Bahrain, a major non-NATO ally that is home to the U.S. Navy's Fifth Fleet. 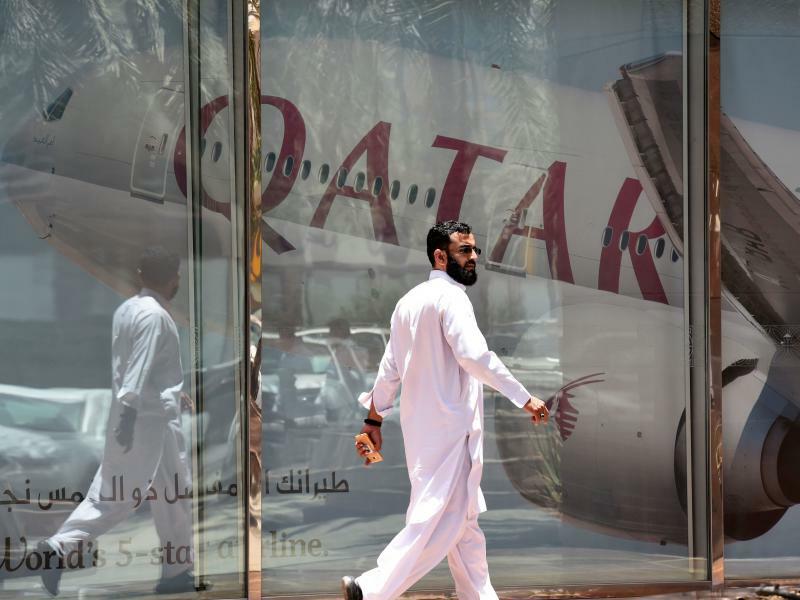 In the past day, countries including Saudi Arabia, Egypt, the United Arab Emirates, Bahrain and the Maldives have cut ties with Qatar, citing terrorism concerns. The severance in relations affects air transport, trade and — more crucially for the U.S. — efforts to unify Arab allies. 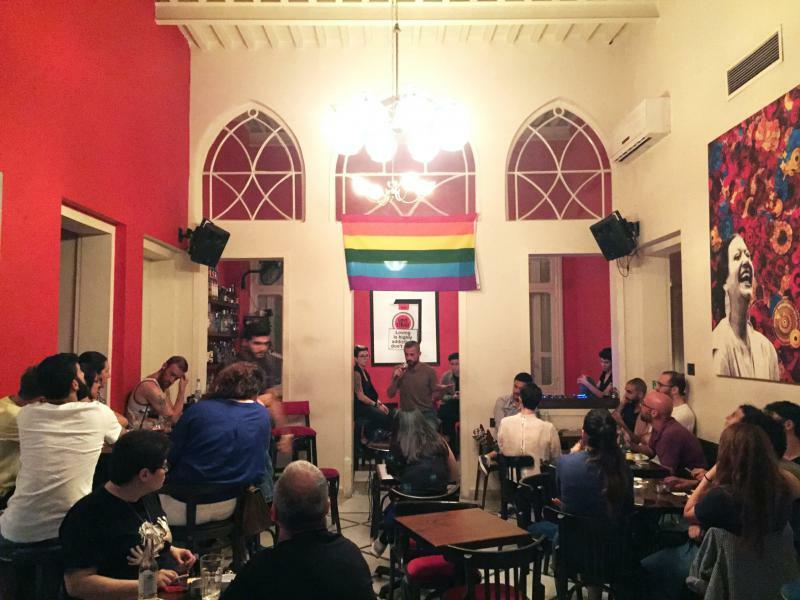 In Lebanon, the LGBT community has made important strides in recent years. A series of court rulings have poked holes in a law that essentially criminalizes homosexuality. This has encouraged activists to push for greater rights. Gay rights activists in Lebanon have made strides in recent years, even if the strides don't always sound that big by Western standards. 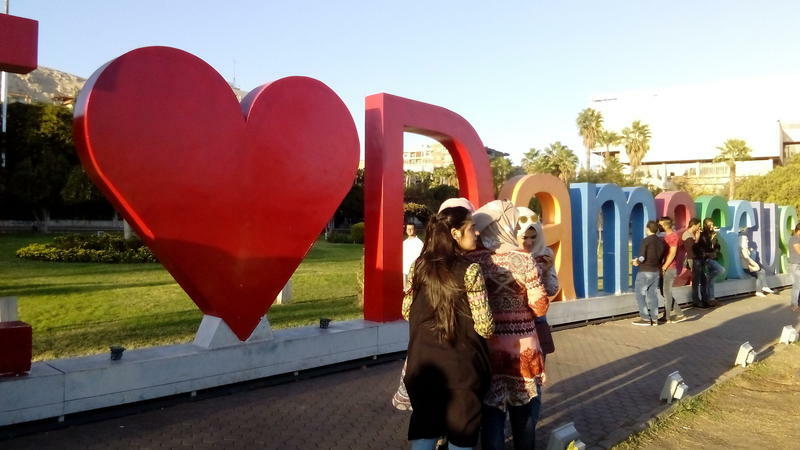 NPR's Alison Meuse reports from Beirut on Pride week. 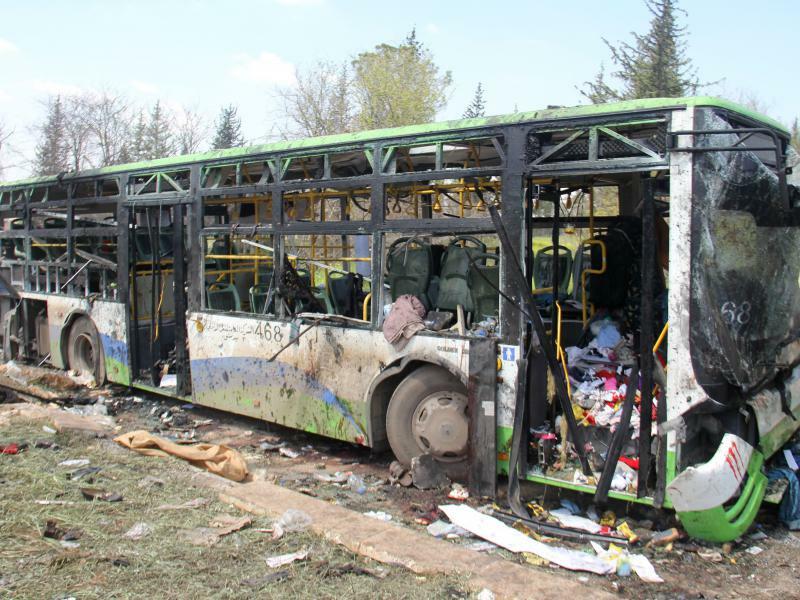 More than 100 people, including 68 children, were killed in a suicide attack on Saturday in rebel-held northwestern Syria. The Syrian Observatory for Human Rights says the vast majority of the victims were families evacuating from two Shiite villages, Fuaa and Kefraya, long besieged by rebels. 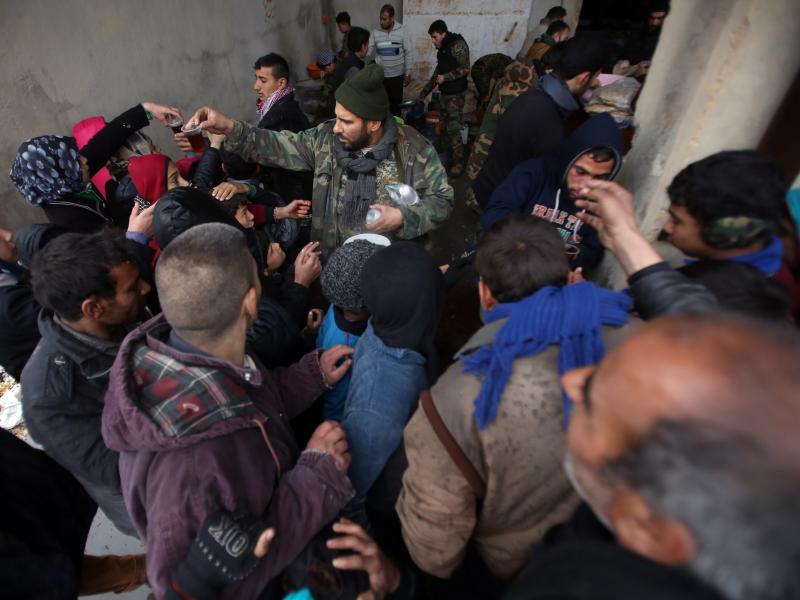 They had been promised safe passage out of rebel-held territory, as part of a reciprocal deal to evacuate two besieged pro-rebel towns, Madaya and Zabadani, on the opposite end of the country. 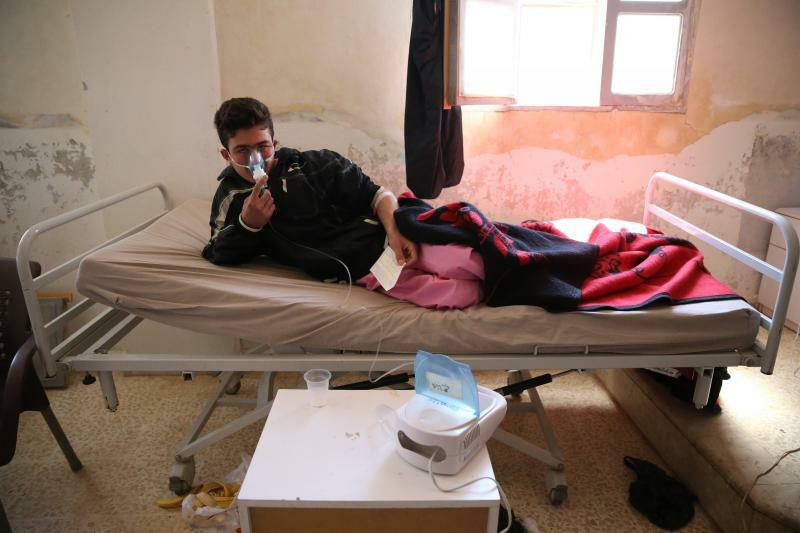 In the early hours of Friday morning, the U.S. struck a Syrian airbase in retaliation for an alleged chemical weapons attack on Tuesday by Syrian government forces in the town of Khan Shaykhun. The Organization for the Prohibition of Chemical Weapons says it's still establishing the facts behind the deaths of dozens of people. Syrians on the ground have mixed feelings about what the U.S. strikes might mean for their future. 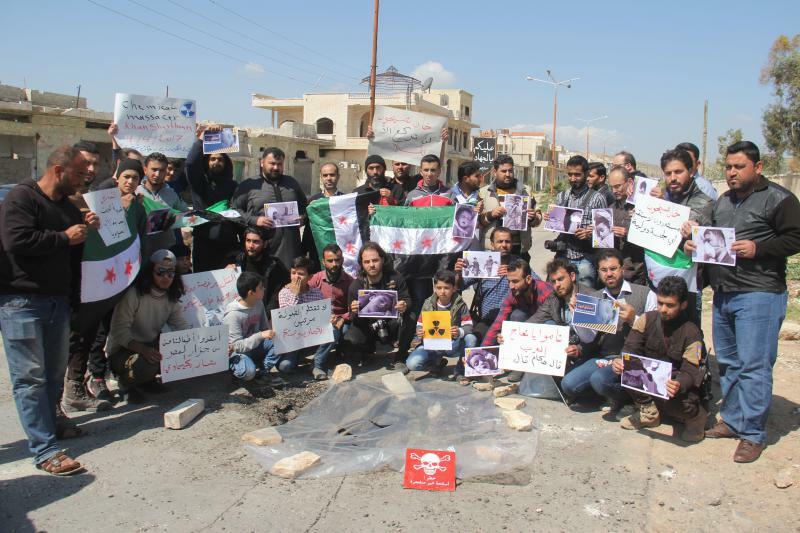 For Syrian activist Samer al-Hussein, Tuesday morning started much like any other. "We woke up," he says, "as usual, to the sounds of warplanes that barely ever leave the skies of Idlib province." 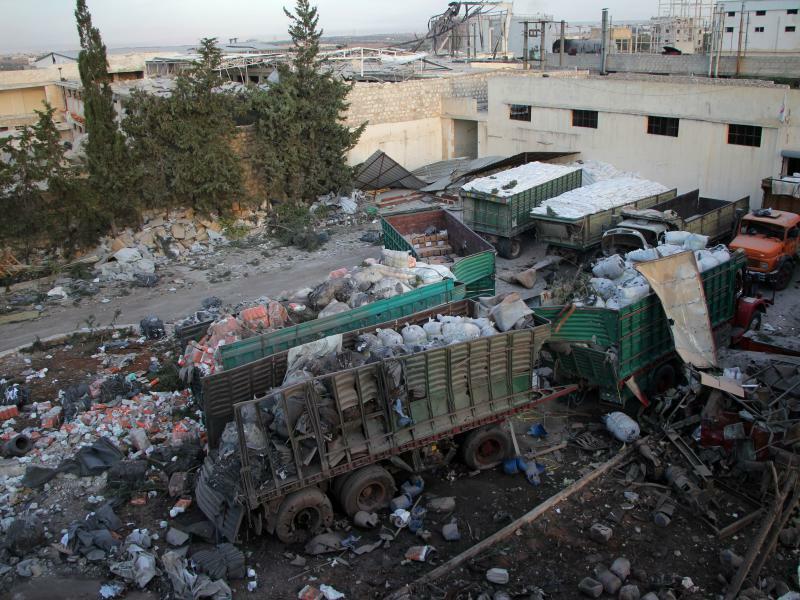 He got word from fellow opposition activists that new strikes had targeted a nearby town, Khan Shaykhun. The 28-year-old prepared to leave his wife and sons — a toddler and a newborn — and head to the scene. A United Nations report says both Russian-backed Syrian forces and rebel factions committed war crimes in the besieged eastern districts of Aleppo between July 21 and Dec. 22, 2016, when the city was recaptured by the government. Syrian peace talks got started again in Geneva this week. One Syrian woman hopes to get an issue on the agenda - the fate of hundreds of thousands of people detained. It is a very personal issue for her, as NPR's Alison Meuse reports. New Cease-Fire Arranged For Aleppo But Will It Hold? 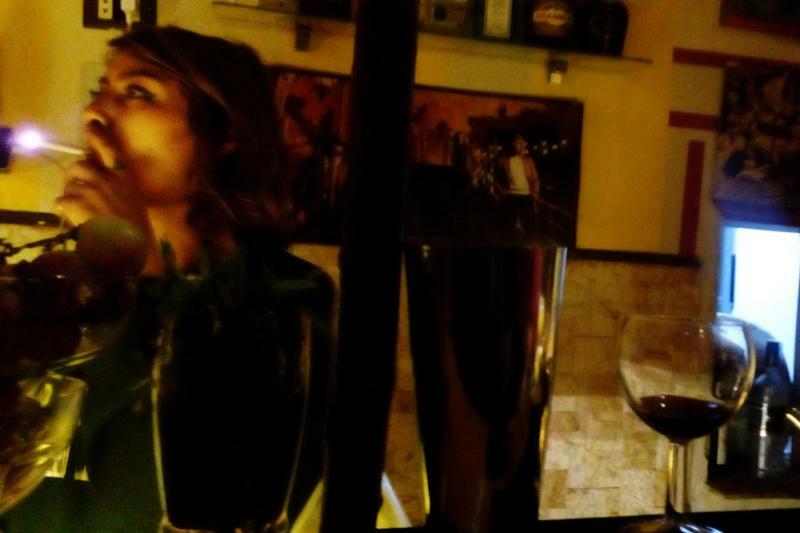 The story has been done before: A Western journalist visits the Old City, checks in at a swinging bar and churns out a dispatch about Syrians partying as the war rages on. At this moment, the world's attention is on the showdown in Aleppo. But after a string of sleepless nights preparing for a trip this week to Syria that appeared out of thin air, I was ready for a glass myself. From the outside, the Syrian war may appear to consume every corner of the country. But inside an ancient Damascus bazaar, the war can feel very far away. The covered Hamidiyeh bazaar has always been a place filled with treasures, and it still feels like the heartbeat of the capital, with throngs of shoppers passing through its grand, gently winding thoroughfare. At Damascus University, Syria's oldest and largest institution of higher education, students casually stroll the sprawling campus. Female students sport salon-fresh locks or smart white headscarves. Skinny jeans are still in fashion. The sounds are of fountains and chirping birds, not of bombs. 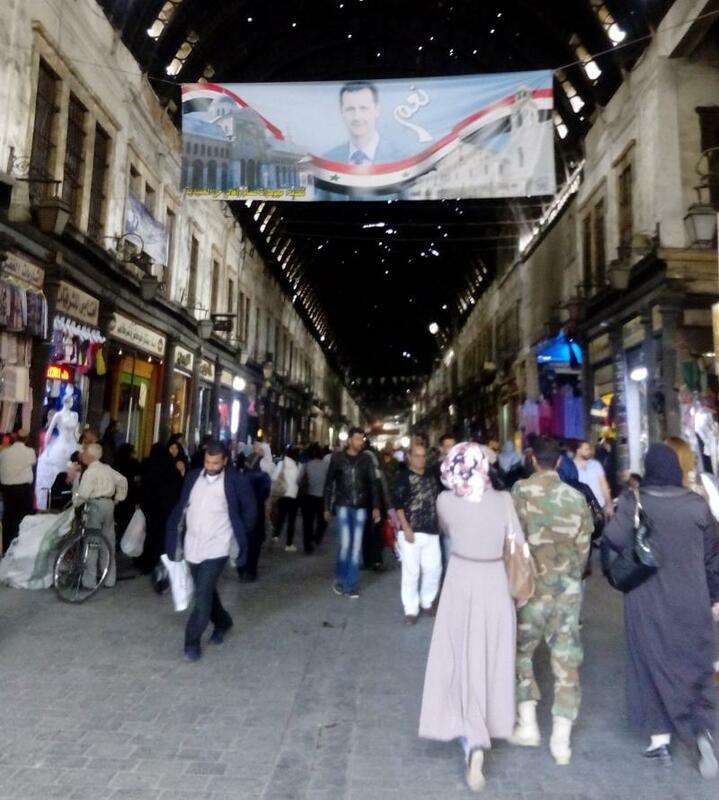 A naïve tourist could be forgiven for forgetting there is a brutal war tearing apart Aleppo, a city 200 miles to the north, or that armed opposition groups continue to have a foothold in the capital itself.